I GOT THE IMAGE FROM HERE. The best part of marketing is that its intrinsic dynamic nature forces adaptability - this means you have to constantly learn. One important trend of present times, which is clearly observable, is that people are exploring new ways of establishing health. This includes looking towards alternative and ancient healthcare approaches too. This outlook is powering the process of Integrative Medicine. Concept wise Integrative Medicine makes a lot of sense. It is a system of medicine that integrates scientific and medical advances with other established healthcare practices. It basically implies having an open mind to look at a healthcare issue from all angles. For eg., it is well known that hypercholesterolemia is a major healthcare challenge. The raised blood cholesterol levels are clearly linked to increased incidence and severity of cardiovascular (heart and blood vessel) disease. The mainstay approach of managing hypercholesterolemia is consumption of statin drugs. The 13 billion USD blockbuster drug Lipitor (Pfizer's atorvastatin - whose patent will expire in 2010 in Canada and in 2011 in European countries) is a statin drug. However, a less publicized fact about atorvastatin (and other statins) is the drug induced nutrient depletion. Statin drugs deplete the levels of an important antioxidant and energy producing biochemical called CoQ10 (ie., coenzyme Q 10). Depletion of C0Q10 leads to heart failure. So what Integrative Medicine says is - look at the issue holistically. Use a holistic approach to safeguard and manage cardiovascular disease. In this context, Integrative Medicine talks about lifestyle modication, Mediteranean diet and such approaches. This gentleman (Dr. Sinatra), the author of a newsletter HEART, HEALTH AND NUTRITION, advocates an interesting approach of combining conventional modern medical science with nutrition, and other mind body therapies. Holistic and integrative Ayurveda too talks about mind body approaches to healing. Of course the missing element in Ayurveda is that it does not combine modern medical science. This void is filled in by the concept of INTEGRATIVE MEDICINE. 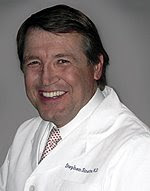 For example, Dr. Stephen Sinatra applies the concepts of Integrative Medicine to heart health. Dr. Sinatra recommends an anti-inflammatory diet. This is strikingly logical. One of the important biomarkers of heart and blood vessel disease is raised levels of C reactive protein. The raised blood levels of C reactive protein is an indicator of general inflammation and infection. In liver failure cases too, blood C reactive protein levels go up. Thus, the Dr. Sinatra recommendation is to consume a lot of anti-inflammatory nutrients. This is the approach of Integrative Medicine. Today we operate in silos - there are allopathic pharma marketers. Ayurvedic pharma marketers. Homeopathic marketers. But what does the patient want? SIMPLE! He or she wants a quick, efficacious, safe AND SUSTAINABLE REMEDY to illnesses and diseases. Besides the patient wants easy access and availability of the remedy. Thus, whether it is modern medicine or not, the above patient requirements have to be met by the healthcare provider or marketer. Hence, a marketing approach that breaks down silos to provide the best therapeutic option will be the futuristic marketing model. Another aspect of today's business environ is that there are a lot of uncertainties in the pharma industry that need to be overcome to post good business results quarter after quarter. Today, DRL (Dr. Reddy Labs) got itself lucky, thanks to generic sumatriptan sales in USA. They could post a turnover of Rs. 1818 crores (21% growth over last year same quarter) and a net profit of Rs. 244.5 crores (a whopping 120% growth over last year). With Ranbaxy and Wockhardt preoccupied with clearing their own problems, DRL got good orders for generic sumatriptan giving a huge boost to its profits. This bonanza was not anticipated, but it happened. That means quarter after quarter, a lot of uncertainty management is being done to ensure a good financial picture. This is an important approach in business management today. A classic example of nonmarket strategy is that of McDonald. This iconic organization in America was besieged by adverse media attention that its products have increased childhood obesity. To save its business, it embarked on an ad blitz that positioned its menu as child health friendly, and it added healthy dishes to its menu. However, it did a lot of other nonmarket strategic work among policy makers in the Govt., NGOs and other entities to help create a positive perception about McDonald and that has helped shore up its business image and results. NONMARKET STRATEGY refers to the way companies manage relationships and communication with governmental bodies, regulators, nongovernmental organizations (NGOs), media and society as a whole. This aspect is crucial for strong business sustenance. If the overall climate provided by the above entities is conducive to the conduct of business by an organization then results will be favorable and uncertainties will be lesser or manageable. The need of the hour for Indian pharma companies operating in foreign environments is NONMARKET STRATEGY. This is particularly true when WHO and other bodies under the influence of media and pharma MNCs are trying to define counterfeit pharma products in a way that will go against the business interests of 'generic generic' manufacturers of India. As a component of NONMARKET STRATEGY, Indian pharma companies should pool resources and expertise to create an organization on the lines of NASSCOM. This body should promote with expert professionalism the Indian business point of view and interests so as to establish win win relationships with all participating entities on a continuous basis. This type of an operation based on NONMARKET STRATEGY will certainly contribute to creating reduced uncertainty in the overall pharma business environment. The importance of NONMARKET STRATEGY by Indian global pharma companies is all the more important as legal goods are being seized by port officials (such as in Spain) as counterfeit goods under the TRIPS umbrella. NONMARKET STRATEGY is crucial in the present day times for smoothening the environment for favorable conduct of business. NONMARKET STRATEGY is very important in the domestic milieu too. The reason is that NPPA is an important regulator of pricing of pharma goods. Their actions have immense bearing on profitability, sales value, and shareholder value of pharma companies. From the point of view of foreign pharma companies, NONMARKET STRATEGY is all the more important because the interpretation of Indian patent laws can have a great bearing on the launch and sales value of their research products. For instance, anticancer drug Glivec (from Novartis) is forever making news in the media for losing its patent battles with marketers of reverse engineered products. Hence, NONMARKET STRATEGY needs to be looked at keenly to create a conducive climate from the point of view of foreign MNCs too. For global Indian pharma marketers NONMARKET STRATEGY is crucial for reducing uncertainties. One interesting approach could be launching a major advt. and public relations blitz in USA about generics from India. They could collectively pool money and other resources to craft a theme based ad and PR blitz on the lines such as INDIAN GENERICS: quality first - price comfort always! What this ad and PR blitz will do among the doctors, patients, general society, and policy makers (in US govt. and NGOs) is that it will mold a favorable opinion about Indian Generics. They will see these generic products as adding value to American society and not something as coming from a slumdog country! Through an aggressive NONMARKET STRATEGY at an individual and collective level Indian pharma companies marketing globally can create a favorable perception of their products and ensure that business uncertainties are reduced. Integrative Medicine is clearly the future of healthcare. Patients are certain to be increasingly more empowered (thanks to the internet and media) while transacting with doctors, and they will probably have adult-adult transactions rather than parent-child transactions (between doctor and patient as we often see). In this changed scenario, the demand for nutraceuticals, herbal products, generics, biogenerics and other products in foreign markets will only increase. However, the products can succeed only if they are backed by EVIDENCE BASED MARKETING. Hence, keeping a 5 or 10 year window in mind, it is important Indian pharma companies put their resources and energies to strengthen the practice of INTEGRATIVE MEDICINE. Even as we read this blog, companies like Plethico have benefited by exporting a whole load of nutraceutical and herbal products. This indicates that Integrative Medicine is the future of pharma and healthcare business and hence, we need to adapt. Thanks for reading this blogpost, please inform your acquaintances of this blogpost. Kindly do read all other blogposts, by scrolling down and clicking on OLDER POSTS as and when required.